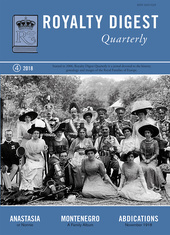 The Family Album in RDQ 4/2018 is MONTENEGRO - the very special Balkan dynasty which exported Princesses in many directions. Marlene A. Eilers Koenig writes about Nonnie (Nancy) from the US who became Princess Anastasia of Greece. 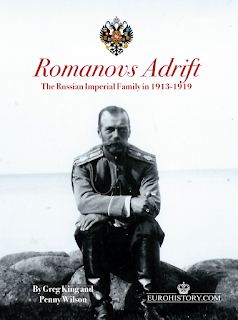 Charlotte Zeepvat presents an anonymous correspondence with a surprise royal twist, and Ove Mogensen describes more Bonaparte graves. 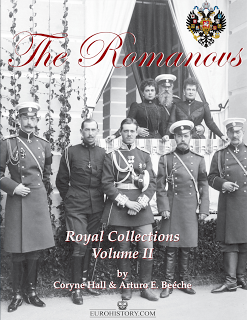 Stefan Harderer has the story of "A fairytale Palace at Corfu" Coryne Hall tells about Princess Therese of Bavaria and Bearn Bilker starts his series on the November 1918 abdications in Germany. This magazine has 64 pages, in English, size 21x29.5cm.